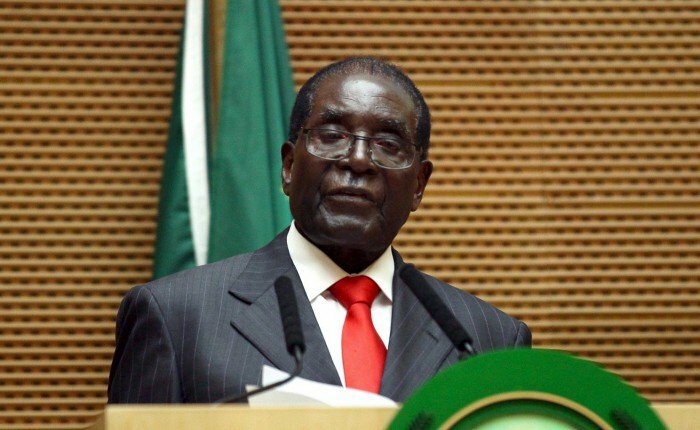 ZIMBABWE – Zimbabwean President Robert Mugabe received a standing ovation from his peers at the African Union (AU) summit in Addis Ababa, Ethiopia, on Saturday as he handed over the chair of the body with a rousing speech, filled with more than his usual invective against former colonisers, imperialists, westerners, US President Barack Obama, the United Nations and whites. He said Africans were not real members of the UN — only those with white skins were members — and if they decided one day “down with the UN” they would walk out of it. “If the UN is to survive, we [Africa] must be equal members of it,” he said to loud applause.